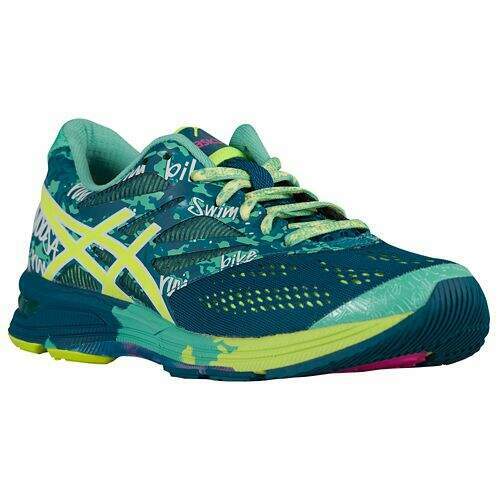 Go fast and far in comfort and style with the ASICS® GEL-Noosa Tri? 10 running shoe. Propulsion Trusstic System® makes transition from foot strike to toe-off quick and efficient, allowing explosive acceleration. DuoMax® Support System enhances foot stability and support so you stay focused on your fitness. Solyte® midsole with GEL® Cushioning Systems in the forefoot and rearfoot provide ideal cushioning for a soft step and smooth run. Impact Guidance System (I.G.S.®) and Guidance Line technologies enhance the foot's movement as it transitions from heel strike to toe-off, promoting an efficient performance. WET GRIP® outsole gives ultimate grip on multiple surfaces, including wet surfaces.